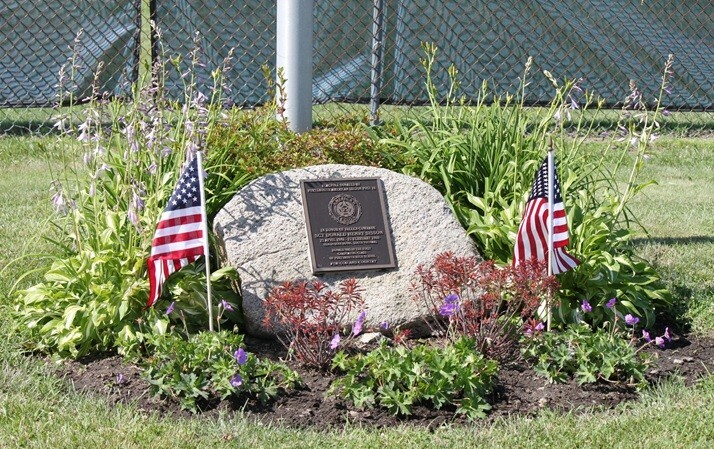 Gardens currently planted and maintained by Project Blue Star. The photograph on the left is of the Sgt. Donald H. Sisson Memorial located at Portsmouth High School. 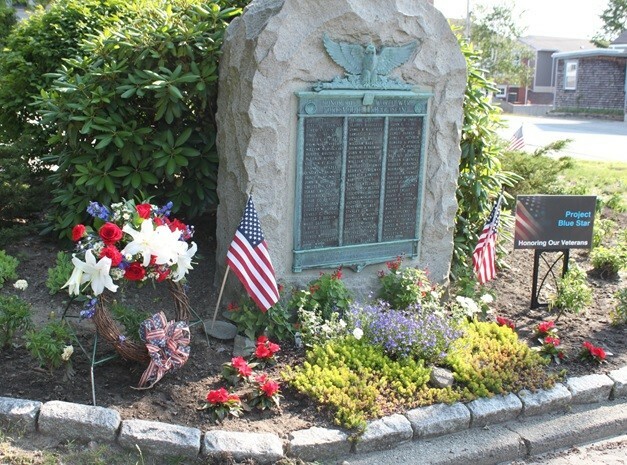 The photograph in the center is dedicated to the Veterans of WWI and is located in front of the Portsmouth Town Hall. 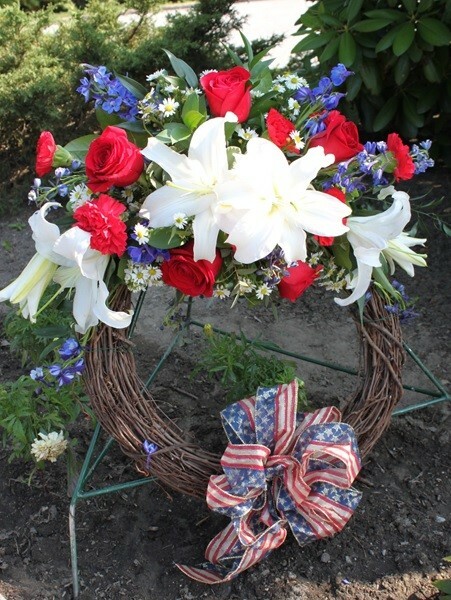 The planted flowers were purchased at Island Garden Shop and the wreath was created by Carol Carlone, Owner of Carlone's Florist.